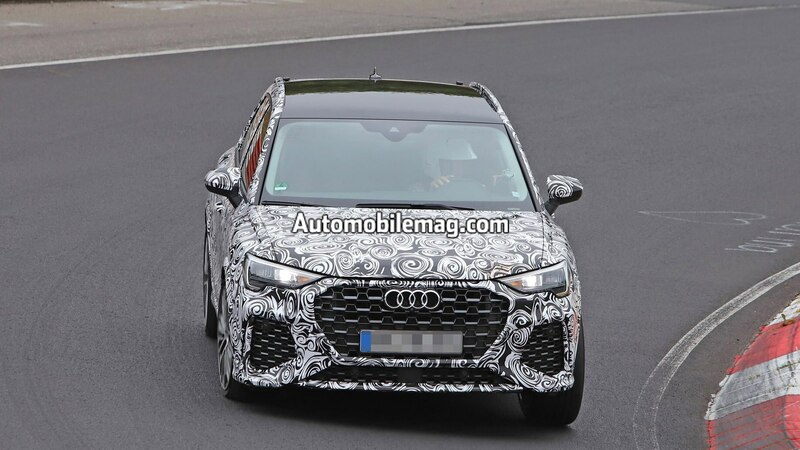 It’s been less than a month since Audi revealed the redesigned Q3, so it’s no surprise that details such as pricing and U.S. engine options are still up in the air. 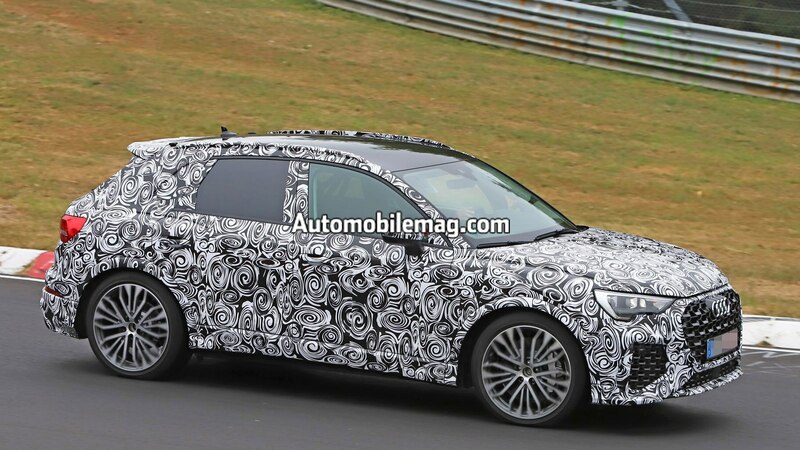 That doesn’t mean Audi’s resting on its laurels, though. 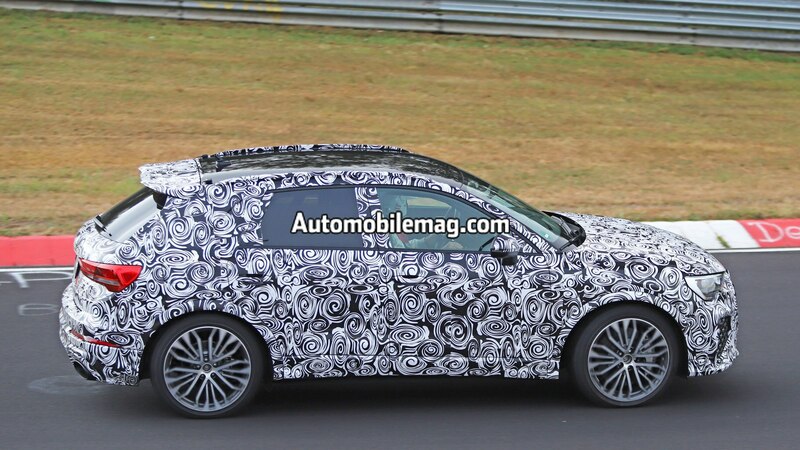 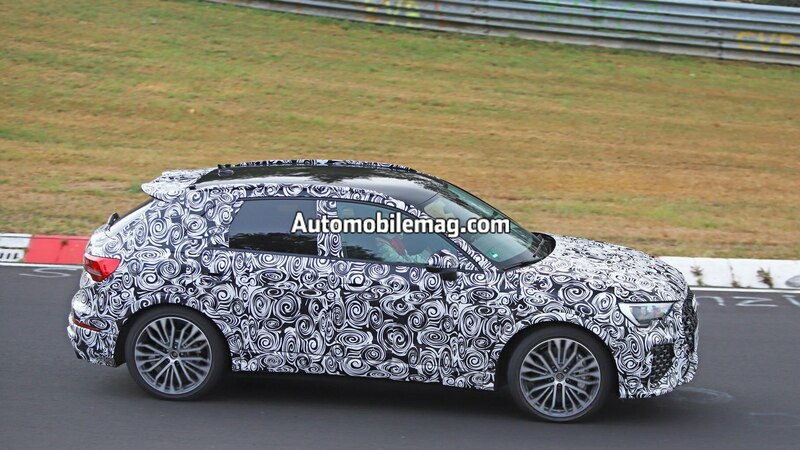 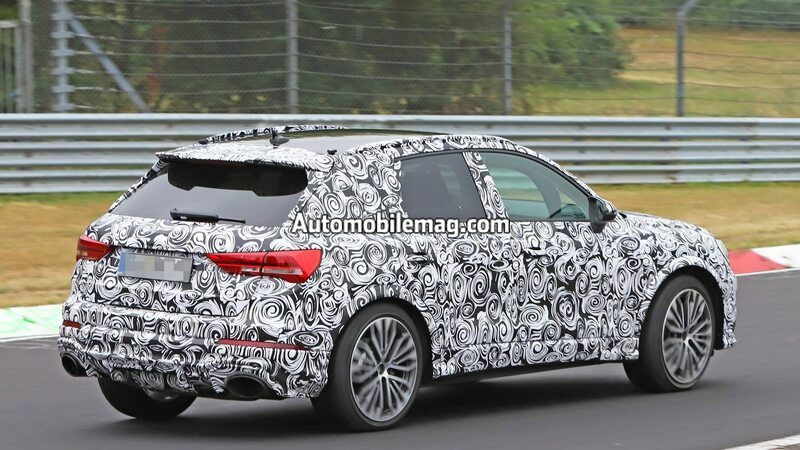 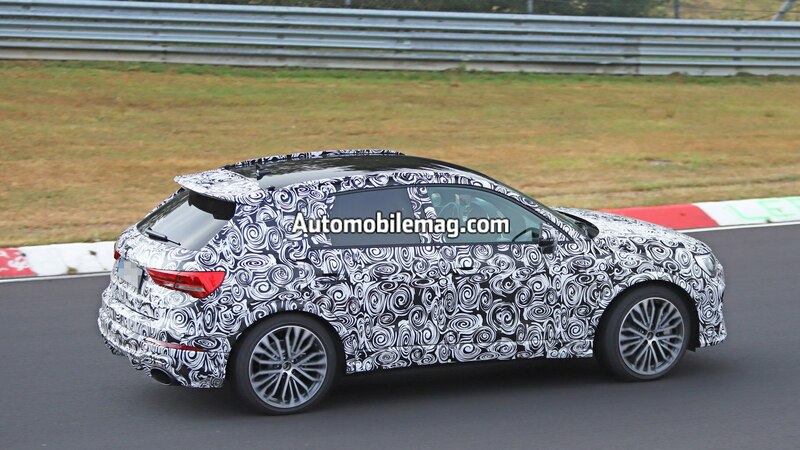 Based on these latest spy shots, the German automaker is already hard at work on a new high-performance RS model. 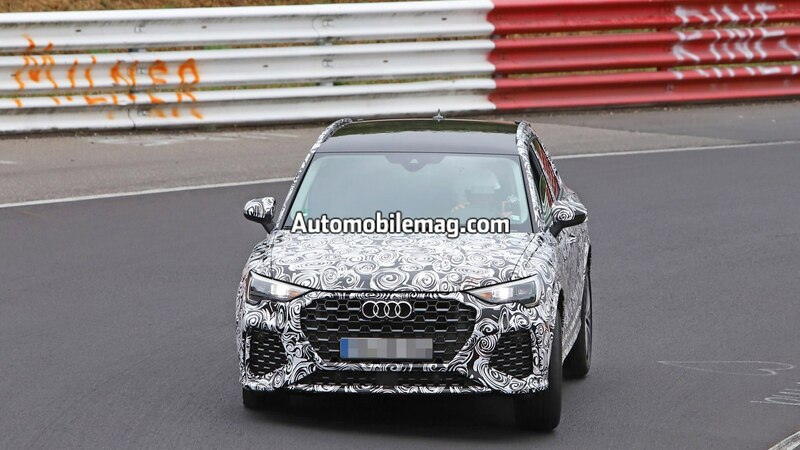 The last RS Q3 was more of a high-riding hot hatch than a fire-breathing SUV, making 306 hp and 310 lb-ft of torque from a detuned version of the TT RS‘ 2.5-liter turbocharged I-5. 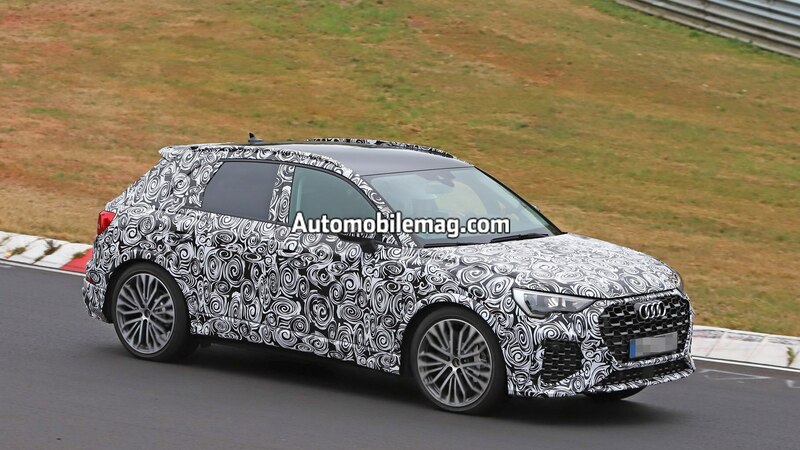 Audi also sold a sportier RS Q3 Performance that was lower, more aggressively styled, and came with an extra 27 hp. According to our spy photographer, the prototype shown here sounded like it was still using the same five-cylinder engine, but this time around, it’s expected to at least make an RS 3-matching 400 hp and 350 lb-ft of torque. 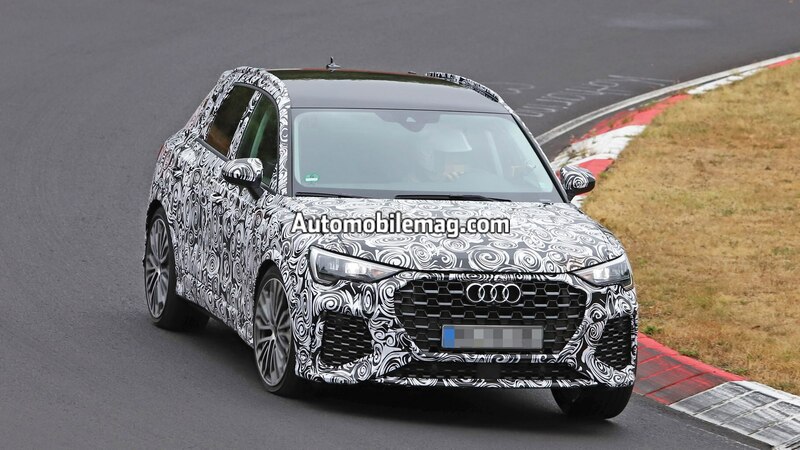 While the previous RS Q3’s styling was conservative at best, the new version will get a much more aggressive look that builds on the 2019 Q3’s much less anonymous design. 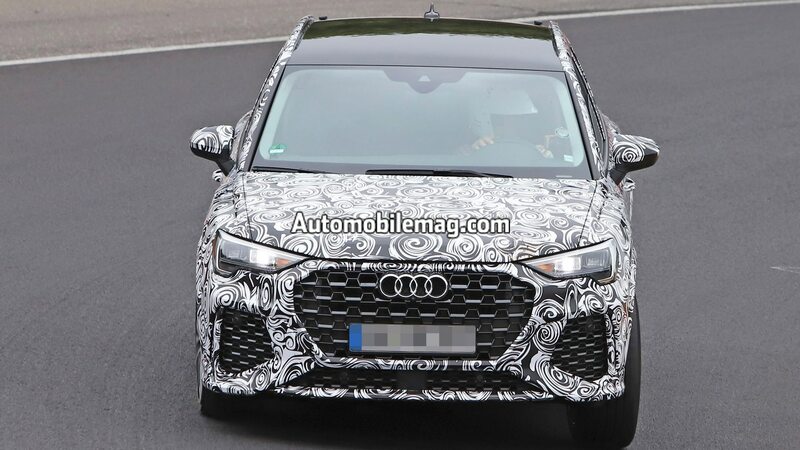 Even in a full wrap, the massive air intakes and angular styling stand out, as does the new grille pattern that our shooter believes will spread to other future RS models. 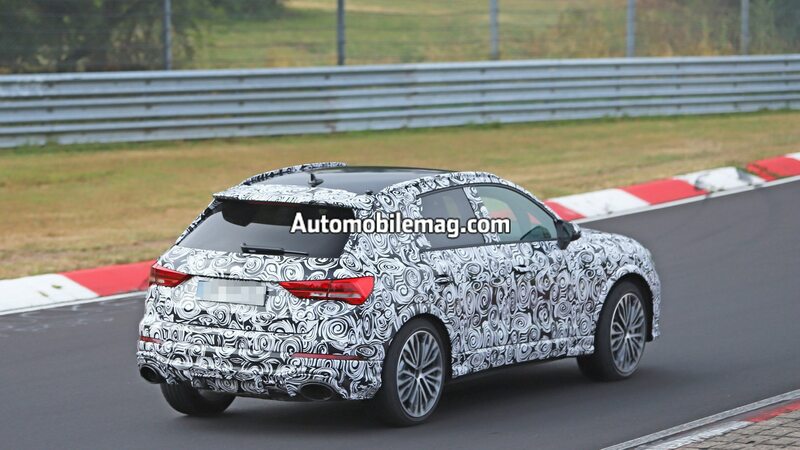 The fenders appear to be only slightly wider than on the regular Q3, but toward the back, you can clearly see massive oval exhaust pipes, a diffuser, and a large roof spoiler. 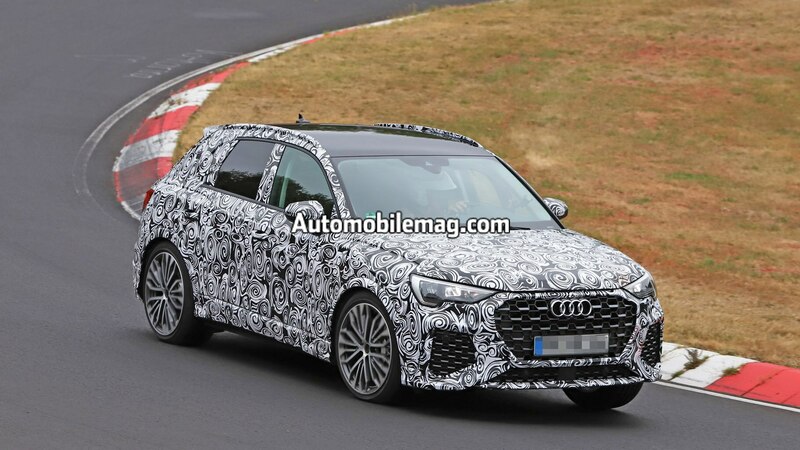 With upgraded brakes and a track-tuned suspension in the mix as well, the RS Q3 is shaping up to be one seriously fun-to-drive little crossover. 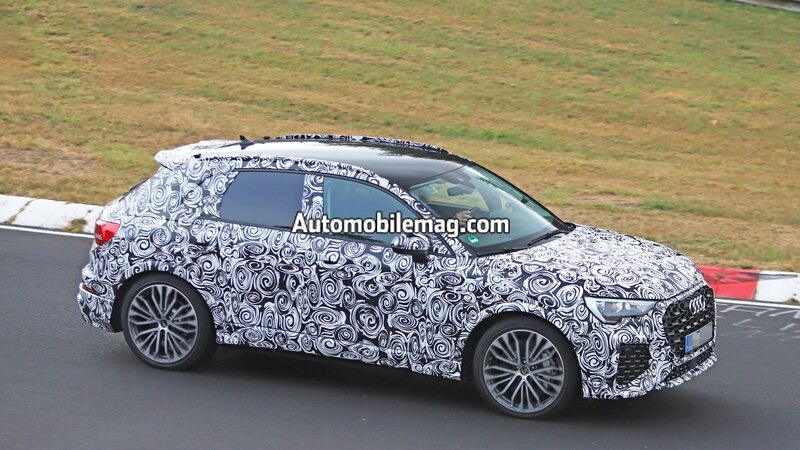 Audi hasn’t announced a reveal date, but there’s a chance we could see it as early as the Paris motor show in October. 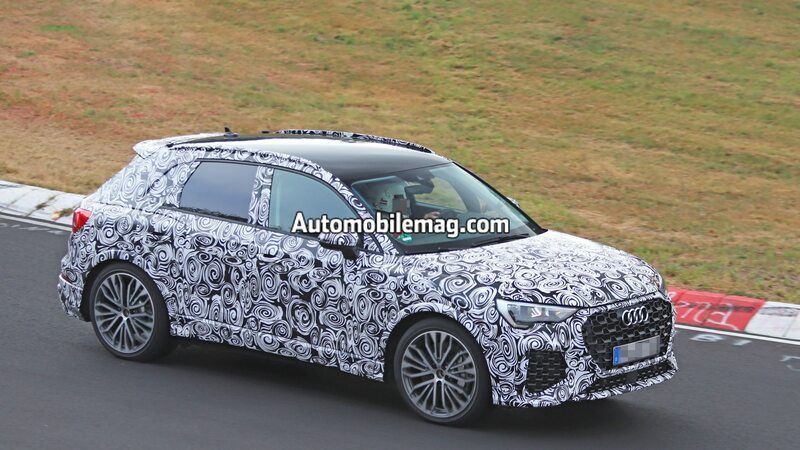 The big question, though, is whether or not Audi will offer the RS Q3 in the U.S. We’d like to think it will, but that’s still far from official.